Jean Byassee has practiced commercial, estate and healthcare law in Nashville and Texas for her entire career. Jean graduated from Washington & Lee Law School in Virginia. She has been general counsel for a small publicly traded healthcare company and worked for many years as senior counsel for Hospital Corporation of America. Her practice has exposed her to many areas of the law, allowing her to bring a range of law experience, on legal issues related to healthcare and eldercare matters. After several personal losses of family members, Jean expanded her focus to include estate law, conservatorships and estate planning in Nashville. Jean enjoys working with individuals or families, and specializes in tailoring their estate needs, in light of the potential for needing long term care or avoiding the more costly alternative of a conservatorship. She is also responsive to emergency elder law needs. 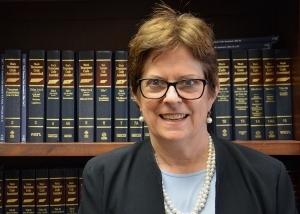 Jean is a member of the Nashville Bar Association, the Tennessee Bar Association, the American Bar Association, the Lawyers Association for Women, the National Academy of Elderlaw Attorneys and The American Health Lawyers Association . She attends West End Methodist Church where she is is a member of the Ministry Table.